NEW YORK — Subway wants to freshen up the look of its stores as it tries to stem a sales decline. The makeover comes as Subway’s sales have fallen for four straight years amid competition from places including Jimmy John’s and Firehouse Subs. 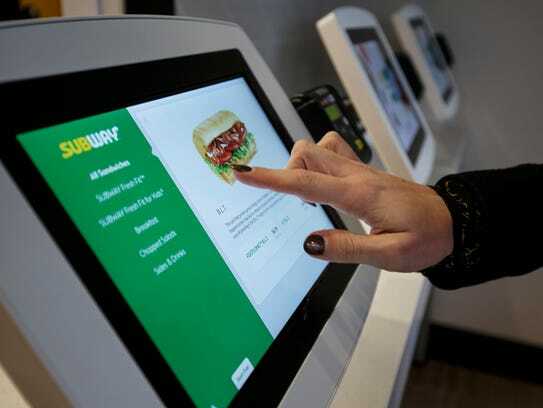 Since 2012, Subway’s average annual sales per store are down 13% at $420,000, according to industry tracker Technomic. Last year, its number of U.S. stores also shrank for the first time, though it still had more than 26,200 locations. Globally, the chain says it has more than 44,800. Don Fertman, Subway’s chief development officer, says franchise agreements require them to remodel stores every seven to 10 years. The company says franchisees will have a variety of design options to pick from, and that it is looking for ways to help them lower costs. Fertman says the current “Tuscany” design was intended in part to reflect the Italian heritage of founder Fred DeLuca, who died in 2015. His sister, Suzanne Greco, is now CEO of the privately held company. In the U.S. and Canada, new stores will be built using the redesign. About 150 stores will get the new look in the coming months, Fertman said. By the end of next year, he said 3,000 to 5,000 stores globally should have it, with most of those being in the United States and Canada. Subway says the stores with new designs will include new menu items, such as bread made without gluten.